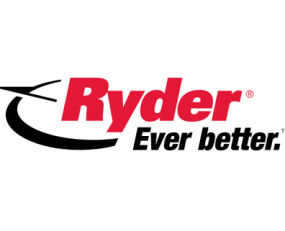 Ryder System’s stock plummeted almost 10% following a trading update that confirmed challenging earnings trends witnessed for over a year, and its $4bn market value has essentially remained unchanged for a year. Full year comparable non-GAAP earnings per share (EPS) from continuing operations fell 16% to $4.53. The US-based supply chain solutions and vehicle leasing provider had to cope with diminished earnings power, although it generated record full year revenues, up 8% to $7.3bn. The group said that its turnover on a non-GAAP basis was up 4% to $6bn. Its core Fleet Management Solutions (FMS) unit – with total revenues up 4% and 8% to $4.7bn and $1.24bn in 2017 and Q4, respectively – benefited from stronger than expected rental demand, but results were negatively impacted by used vehicle sales, additional accelerated depreciation, and higher insurance costs related to prior years’ claims. “Used vehicle sales results were below expectations, primarily due to pricing,” it said, adding that given the near-term outlook on pricing “the company also recognized additional accelerated depreciation in the fourth quarter and extended accelerated depreciation through mid-2019”, while effectively reducing used inventory to the bottom of its target range. Its two smaller units – dedicated transportation solutions (DTS) and supply chain solutions (SCS), saw revenues rise 7% and 20%, respectively, to almost $1.1bn and $2bn – did little to boost profits, with comparable earnings from continuing operations (non-GAAP) at group level falling 17% to $240.8m from $290.5m one year earlier. Group capital expenditures came in at $1.94bn against $1.76bn in 2016, due to higher investments aimed at refreshing the rental fleet which was partially offset by lower lease spending due to greater use of redeployed vehicles to fulfil new lease contracts. Meanwhile, proceeds, primarily from used vehicle sales, increased 2% to $429m from $421m. Net capital expenditures (including proceeds from the sale of assets) increased to $1.51bn in 2017, compared with $1.34bn in the previous year. Operating cash flow stood at $1.55bn, down 3.1% from $1.6bn in 2016. Including proceeds from used vehicle sales, cash generated from continuing operations was $2.05bn, down from $2.1bn in the prior year. As a result, free cash flow stood at $190m, some $60m below guidance provided one year ago, and slightly lower than $194m in 2016. Total debt was $5.41bn, pretty much at the same point in 2016 but debt-to-equity as of 31 December was 191% compared with 263%. It noted that the adoption of Trump’s tax reform reduced the company’s debt-to-equity ratio by approximately 50 percentage points as of 31 December, adding that it is revising its target debt-to-equity ratio to 200%-250% from 250%-300%, reflecting the impact of the reform. Its 2018 guidance for GAAP EPS is between $5.34 and $5.64 versus $14.87 for 2017, but comparable 2017 figures included a $10.75 one-time net benefit from the tax reform. 2018 comparable EPS on a non-GAAP basis is predicted at between $5.40 and $5.70 versus $4.53 in 2017.